The Buhari/Osinbajo Presidential Campaign Organization has attacked Senate President Bukola Saraki for criticising the Federal Government’s ‘trader moni’ scheme. Saraki, who is the Director General of the Presidential Campaign Council of Atiku Abubakar, had allegedly made false allegations about the President Muhammadu Buhari’s scheme. Vice President Prof. Yemi Osinbajo has been seen in markets in different states of the federation giving out small loans to traders. Buhari/Osinbajo Campaign Organization in a statement on Saturday, said, “For the President of the Senate of the Federal Republic of Nigeria to make such wild and false allegations is degrading. 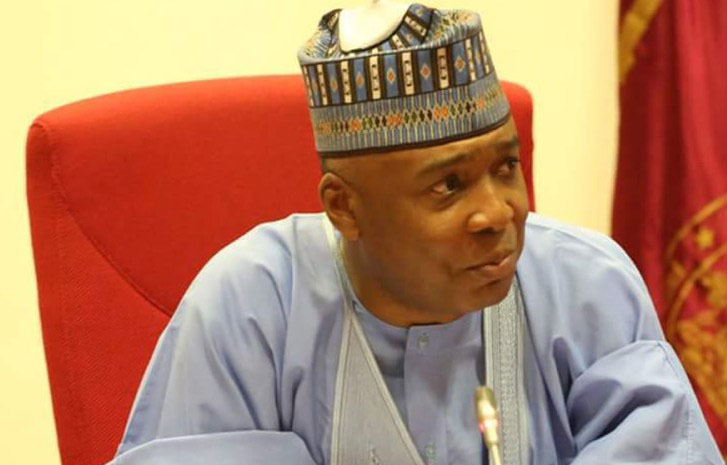 “Saraki’s statement makes his position untenable; for it is preposterous for him to criticise the Executive for implementing a programme in the budget duly passed by the National Assembly which he leads. “Does it now mean that the implementation of programmes of government equates to vote-buying? Should governance be suspended because of politics? “Is his so-called empowerment scheme presently ongoing in Ilorin not a better example of vote-buying? “His claims that the programme has a political coloration is just the height of subterfuge. “It is on record that the Trader Moni loans are given to petty traders and artisans all over the country irrespective of political leanings as nobody is asked for their party cards in the markets before they are enlisted on the programme. “Like other National Social Investment Programmes, it has been launched in every state of the Federation irrespective of political affiliation.